2 Bedroom Upper Floor Flat For Sale in Sheffield for £110,000. 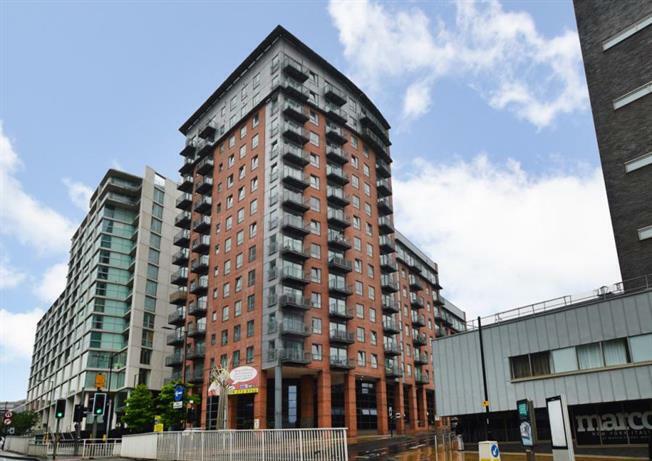 We're delighted to offer for sale this tenth floor, two bedroom apartment with secure off-street parking space. The apartment enjoys stunning views looking up towards the Cathedral, with a good sized balcony allowing you to take full advantage. What's more you'll find integrated kitchen appliances and an ensuite. The Metis building is very well positioned to take full advantage of everything Sheffield City Centre has to offer. You'll be within close walking distance to the heart of Sheffield City Centre providing you with a host of shops, bars and restaurants, amongst many other local amenities. What's more you'll be well positioned for easy access to the M1 Motorway. This flat is currently let until September this year with a gross rental yield of 8.5%, if you're looking for a two bedroom flat to add to your portfolio, you may find it difficult to find better! The property is currently only open to cash buyers, and is available with no forward chain. For more details and to arrange your viewing please contact our branch.